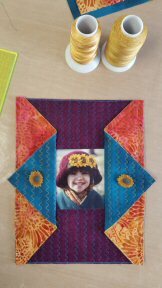 I am delighted to be a part of the International Quilt Festival in Chicago next month. 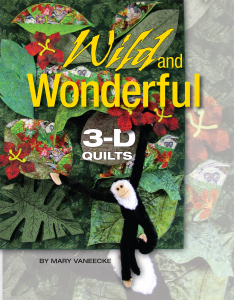 I will be demonstrating techniques from my book Wild and Wonderful 3-D Quilts on Thursday and Saturday, March 26 and 28 as part of the Open Studios events. It’s going to be great fun, and in between, I get to see my sister and wish my dad happy 85th birthday! I just hope it warms up about 70* before then….